Home Miss Universe Is Philippines hosting Miss Universe 2017? In an interview with Tourism Secretary Wanda Teo, it was disclosed that the Miss Universe Organization (MUO) has approached her about the possibility of hosting again the pageant in November later this year. 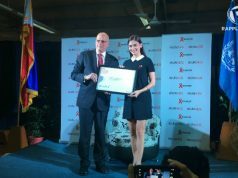 This followed the secretary’s statement that private organizers of Miss Universe were happy about the successful staging in the Philippines where Miss Universe 2015 Pia Wurtznach crowned France’s Iris Mittenaere as Miss Universe 2016. 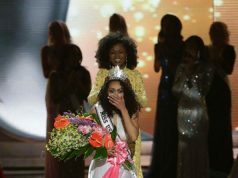 Successful is an understatement for Miss Universe 2016 held in the Philippines. From the candidates’ arrival, press conference, and other pre-pageant activities held in various cities in the country, the Philippine edition is without a doubt one of the best editions of Miss Universe in its entire 60 plus year history. And the staging of Miss Universe in the Philippines would be a boost to the pageant which is facing dwindling TV ratings in the US. While nothing has been finalized yet, Secretary Teo said in the interview that she and the private organizers want more control this time pertaining to holding preliminary events and for sponsorship agreements.If the Philippines hosting Miss Universe 2017 will push through, this will be the fourth time that the Philippines will serve as host to Miss Universe. The first one was in 1974, the first ever that the Miss Universe was staged in the Asian continent. This was followed in 1994 by the much-celebrated victory of India’s Sushmita Sen. In 2016, Sushmita Sen returned to the Philippines and served as one of the finals telecast at Miss Universe 2016. Aside from the Philippines, it was also reported that France is interested in hosting Miss Universe, as well as the land down under, Australia. 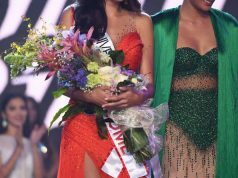 A report from ABS-CBN, the Philippines’ largest TV network, has discussed the rumors about the Philippines hosting Miss Universe 2017.